Whether you are passing through the region or whether western Colorado is your destination, you will want to plan a visit to Battlement Mesa, Colorado. Battlement Mesa is ideally located on the I-70 corridor on Colorado's westernslope. 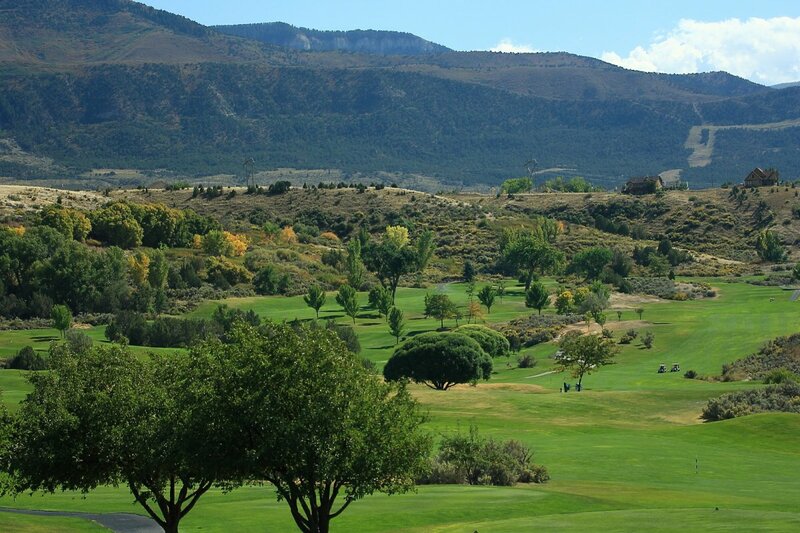 The community of approximately 5,000, is about 30 minutes west of Glenwood Springs and 35 minutes east of Grand Junction, Colorado which means that we're easy to find and easy to get to. If you're driving, from Denver to Grand Junction or Salt Lake City, you'll be driving by. If you're flying into Grand Junction, Eagle, Aspen, or the Garfield County Regional Airport, we're not that far away. 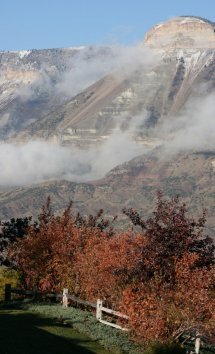 Although we are on Colorado's mountainous westernslope, Battlement Mesa doesn't get the extreme snow and cold of the central mountains but, because we are at an elevation of 5500 feet, we also don't have to endure the extreme heat of the lower desert valleys in the far western part of the state. Battlement Mesa is situated on a mesa above the Colorado River and we enjoy a mild, genuine four-season climate with a modest about of moisture and about 300 days of sunshine annually. Since "our back door" is the Great Colorado Outdoors, we are an active community. We are well known for our award-winning golf course and our 53,000 sq. ft. activity center. Fewer people know that "our back yard" is filled with wildlife, wild flowers, hiking, and biking trails; that we're close to some of Colorado's most affordable skiing, or that fishermen can enjoy fishing on "our" Colorado River or in the nearby mountain lakes and streams, and that several rafting and kayaking options are available nearby. If you like to hunt, we're close to some prime big-game hunting areas. 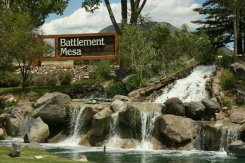 The media has referred to Battlement Mesa as "a great place to visit, to live, to work and to retire" and we absolutely agree! Click Here for places to stay.